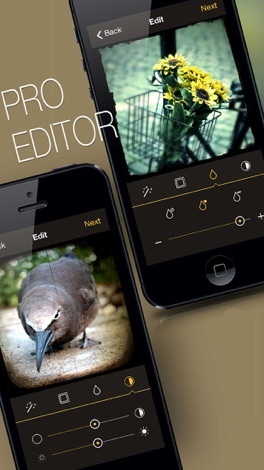 ◉ The BEST Vintage Photo Editor and Video Camera App on AppStore, with Quick and Easy editing tools and Industry Film Coloring Standard to simulate the vintage photos. 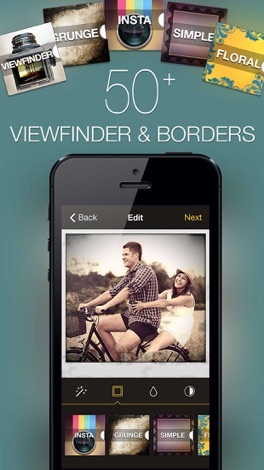 "One of the best apps in the photography category! " "The Reflex app adds great interest and film look with ease." "It has everything you need and super easy! Love it! Great app!" Do you know the famous vintage twin-lens reflex camera (TLR) like Rolleiflex, Kinaflex, Duaflex, Contaflex, Anscoflex, Argoflex and Argus 75? It's a type of camera with two objective lenses of the same focal length which was invented around 1870. Reflex, is a digital clone of the old camera which is over 100+ years old, you can take vintage photos and share to social network like Instagram, Facebook and Twitter. Reflex can give you the instant effects with old camera looks and feelings, make your digital photo into an old school and vintage style. 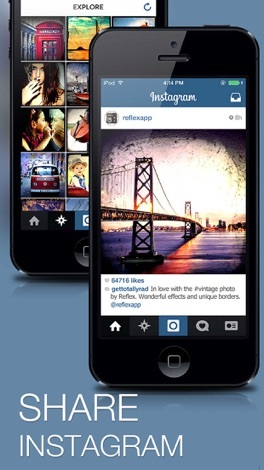 InstaFX - Add some really eye-catching instagram effects to your photos with this beautiful pack. 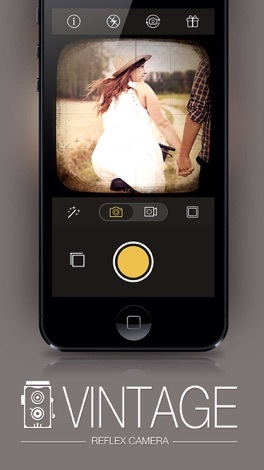 Splash - Create dramatic photos by converting photos into B&W and leaving the interesting color. X-Pro - Render your photos with cross-processing style by unnatural colors and high contrast. Reflex is a copyright of Lotogram Technology LLC. All rights reserved. iBiking+ is a new generation of APP that works with compatible fitness equipments. You may workout on your fitness equipments and viewing the workout data through iOS devices.